1. Project Situated at state Highway No. 2, Khasara No. 123 & 124/1 Total Admeasuring 1.44 Hectare. 2. 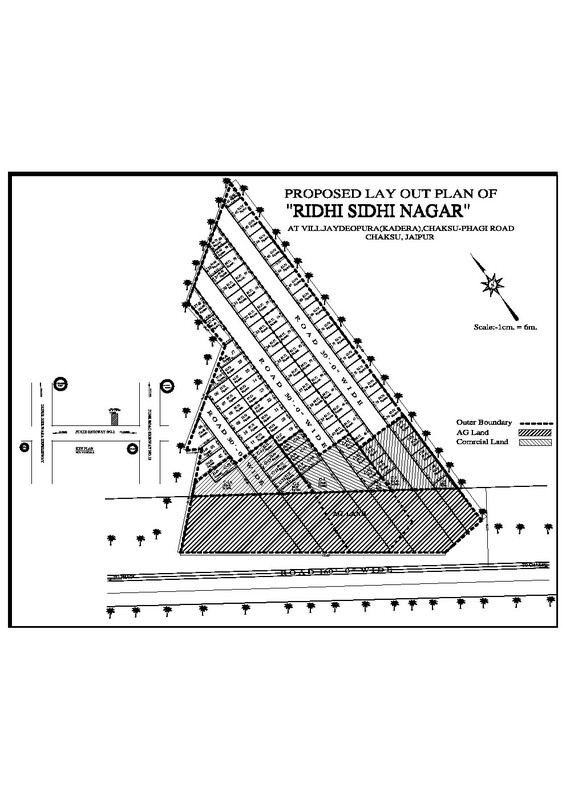 All Plots have straight approach from 160 ft. wide Road. This road is the biggest state highway ih Rajasthan, works as outer ring road for jaipur. 3. All The Plots as per vastu, Facing Either east or west. 4. Plots Admeasuring 100 sq. yds. 5. High Scope of Price Appreciation due to Location on main 160 ft. Wide Road. 6. Good Quality of water Level at 100 ft.
7. Lahd already converted ih Residential & Commercial. 8. Registry shall be done immediately after full & Final Payment, immediate possession.